“USA Really. Wake Up Americans”. 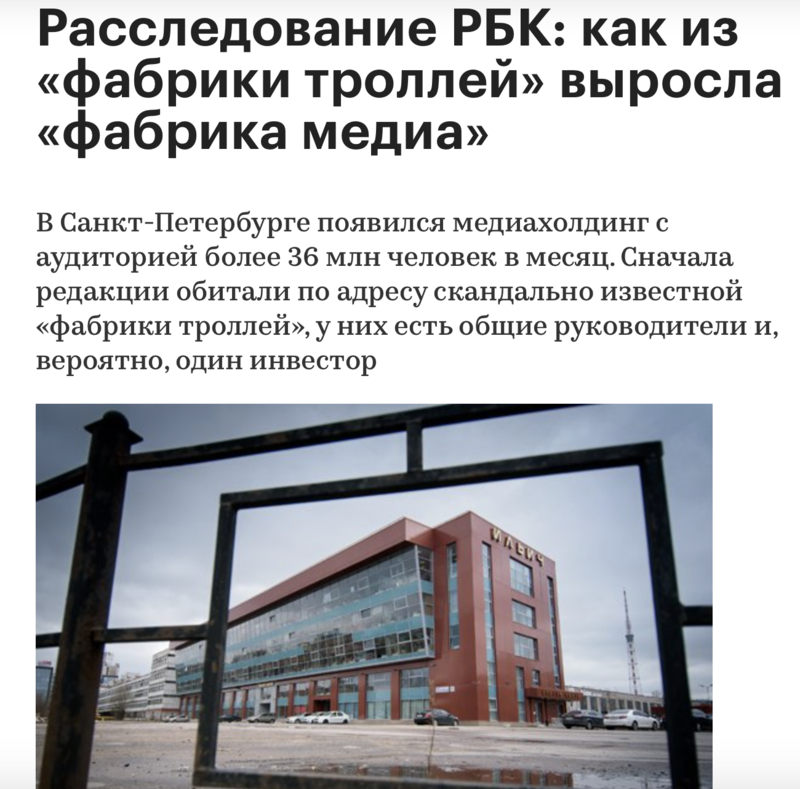 The story of Russia’s new private propaganda outlet. ‘Due to the growing political censorship imposed by the United States, there remains less and less of information sources that are not under control of the US authorities. In this regard, US citizens cannot receive objective and independent information about events occurring on the territory of America and throughout the world. The information flow coming from the US and its allies, which is aimed at discrediting the Russian Federation, should not remain unanswered by the Russian media. The Federal News Agency (FAN) is not going to put up with the hegemony of the US authorities in the information field and announces the launch of the project “Wake up, America!”. In May 2018, the information agency “USA Really. Wake Up Americans” will start its operations, it will focus on promoting information and problems that are hushed up by major American publications controlled by the US political elite. This combined press release and job announcement appeared in English earlier this month on the website of RIA FAN, a Russian news agency based in St. Petersburg. The story behind the new propaganda project with the slightly awkward name takes us into a business-and-government scheme, which allegedly involves both online trolling, large-scale catering services and mobilisation of mercenaries. 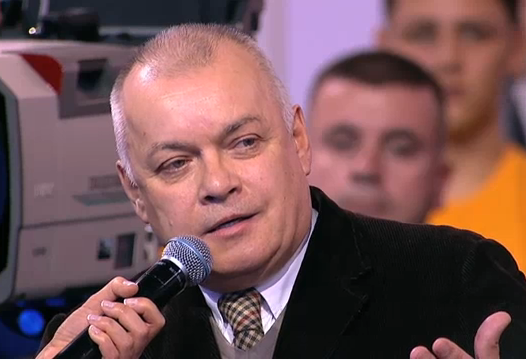 The new outlet is an example of the latest trends in the ways the disinformation and propaganda campaign is managed by the Kremlin. A journalistic research project undertaken last year by the independent Russian news outlet RBC showed that RIA FAN, the mother company of “USA Really. Wake Up Americans”, is in fact itself an offspring project of the famous St. Petersburg “troll factory”. 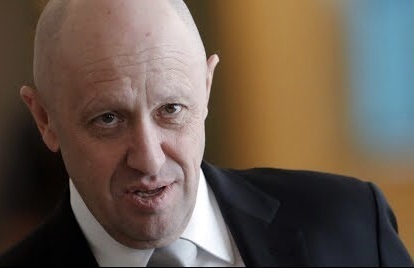 RIA FAN shared its first address with the trolls before moving into its separate premises; however, according to RBC, the owner remained the same, namely Yevgeny Prigozhin, who is currently criminally charged in the United States for his participation in a conspiracy to “sow discord in the U.S. political system,” including the 2016 presidential election. RBC’s 2017 investigation was titled “How the ‘troll factory’ grew to become the ‘media factory'”. RBC’s investigation of RIA FAN and Yevgeny Prigozhin’s activities underpinned how both trolling and media propaganda in Russia operate within one hybrid field where business interests and state propaganda meet. An entrepreneur who has won the trust of key persons in the Kremlin, Mr Prigozhin takes responsibility for disrupting public opinion in Russia and abroad with his troll factory. In return, he receives support of the authorities in the form of winning government tenders. Prigozhin’s nickname, “Putin’s chef“, coins his path to success in one phrase: Through providing a troll factory which is privately owned and thereby a comfortable arm’s length from the government itself, Mr Prigozhin has won a continuous flow of catering tenders from that very government. For example, according to independent Russian news outlet Meduza, his businesses last year won contracts to feed Moscow’s public schools worth 47 billion rubles (more than 600 million EUR). According to journalistic research published by the independent St. Petersburg outlet Fontanka.ru, Prigozhin and his businesses also have ties to the Wagner group of Russian mercenaries operating in Syria. The hybrid business-and-government scheme comes full circle with the Wagner group’s ties to Russian military intelligence, GRU, as alleged by sources in another RBC investigative piece. Apparently, this hybrid scheme has now proven successful enough to branch out with the “USA Really. Wake Up Americans” pro-Kremlin propaganda project. However, the Russian authorities already own and run a number of outlets which take care spreading disinformation and propaganda internationally, most notably with the state-owned flagships RT (Russia Today) and Sputnik. Indeed, with the prospect of running both a national news agency (RIA FAN) and international version (USA Really. Wake Up Americans), Yevgeny Prigozhin’s private media holding begins to resemble first of all the Russian government’s Rossiya Segodnya media holding, which also controls both a national news agency, RIA Novosti, and one of the official international propaganda online resources, Sputnik, tied together under the leadership of the EU-sanctioned propagandist CEO Dmitry Kiselev. Gradually, it becomes difficult, and thereby also less and less relevant, to distinguish between the pro-Kremlin propaganda that comes from outlets owned and controlled by the Russian authorities, such as RIA Novosti and Sputnik, and the privately owned and theoretically independent, but no less Kremlin-loyal outlets, which, as RIA FAN and its new international offspring, depend on schemes involving both the government’s political approval and the government’s money.